Post summary: Some useful .NET Core SDK CLI commands. Commands in the current post are extraction from Build a REST API with .NET Core 2 and run it on Docker Linux container and .NET Core integration testing and mock dependencies posts where I have used them in a real project. 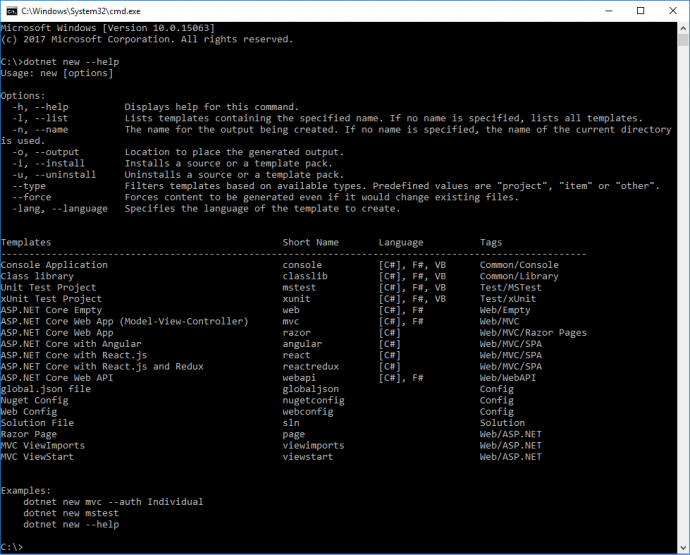 All available commands are accessed with: dotnet –help. To list all available project types use: dotnet new –help. .NET SDK allows you to create custom project template and then install it to SDK with the command: dotnet new -i <TEMPLATE_FOLDER>. Once installed can create a new project out of your custom template. This is valuable in big organizations where cohesion is needed between similar project types. See more for templates in Custom templates for dotnet new article. Two types of dependencies are available, in a NuGet package or to another .NET project. Similar commands are available for removing dependencies with: dotnet remove. 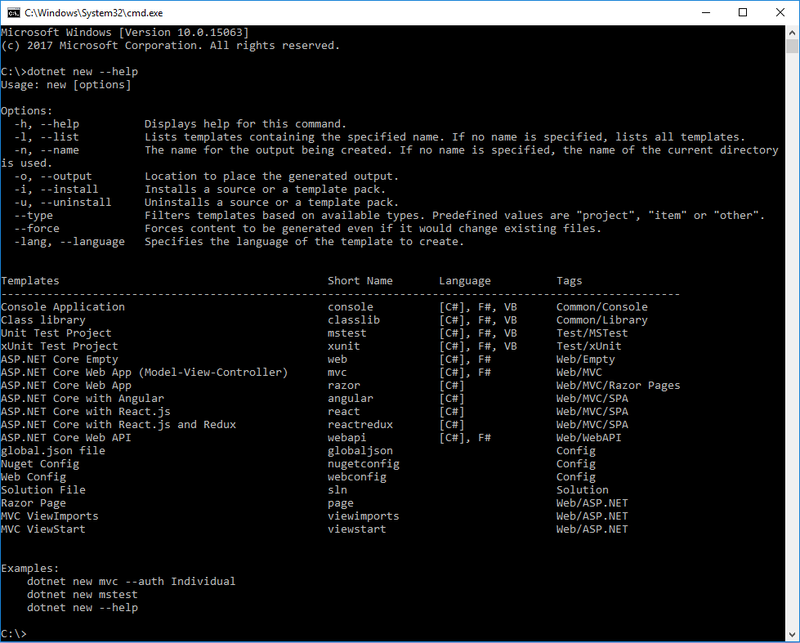 Project dependencies can be shown with: dotnet list reference <PathToProjectFile>. All commands have a bunch of configuration options to be provided. More details on each command can be obtained by adding –help at the end. 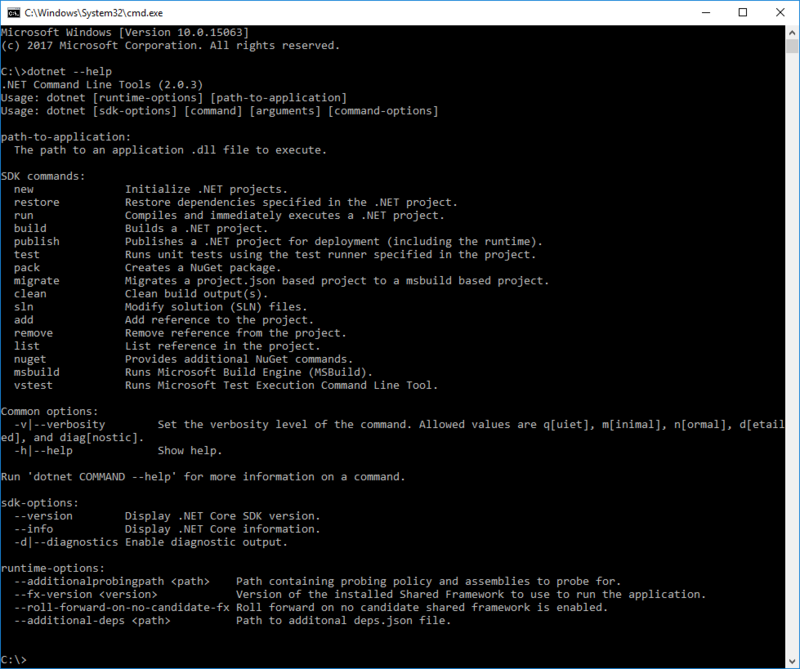 This post is showing some useful .NET SDK CLI commands that make management of .NET project easy without Visual Studio 2017. More practical examples can be found in post where those commands are actually used: Build a REST API with .NET Core 2 and run it on Docker Linux container and .NET Core integration testing and mock.